USDA is considering withholding millions in PRIVATE DOLLARS owed to Virginians as part of the landmark tobacco buyout settlement. USDA has wrongly identified the Tobacco Transition Payment Program (TTPP), a temporary, contractual program, as a direct payment program and thus subject to FY2014 federal budget sequestration. 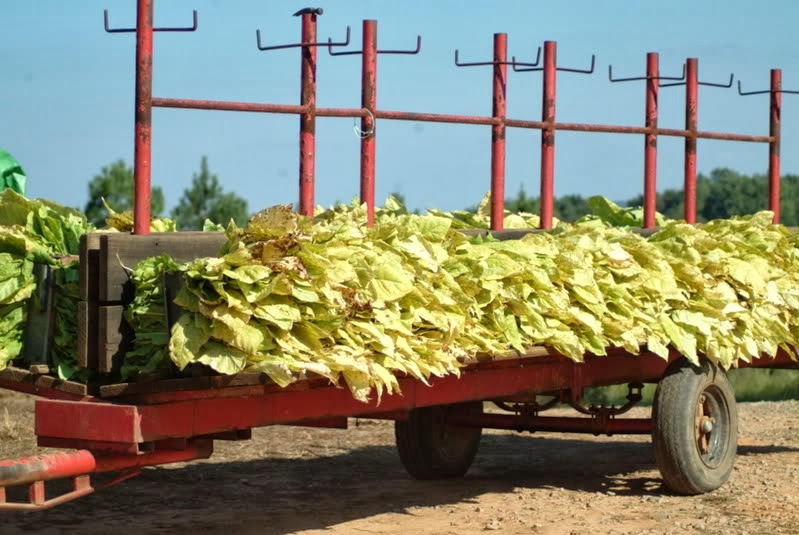 The analogy to this action for nontobacco farmers is if USDA cut funding paid by producers into national check-off programs by reclassifying the funding as part of USDA’s budget. Therefore, this action could be precedent setting as it applies to other commodities in the future. The American Jobs Creation Act contained the Fair and Equitable Tobacco Reform Act of 2004 (Act) which ended federal production, marketing and pricing restrictions and price support loans for tobacco in exchange for 10 annual payments to producers from 2005-2014. The Act established the Tobacco Transition Payment Program (TTPP) to help tobacco producers transition to the free market. These payments are not taxpayer funded; rather, they are funded through fees that are assessed to tobacco companies. USDA’s only role is to pass along the fees collected from tobacco companies and distribute them to contract holders. Unlike direct payments, TTPP payment recipients were eligible to receive a lump sum payment from a private third party in exchange for TTPP payment assignment or successor-in-interest contracts. Only the 2014 payment is outstanding for completion of TTPP contracts. This could hurt rural lending institutions such as Farm Credits because they would have to take this as a loss. USDA’s FY2014 budget includes a mandatory appropriation of $960 million for TTPP nationwide. The proposed 7.2% cut would reduce TTPP payments by $69 million. In Virginia the FY2014 TTPP payments should total nearly $51 million. The proposed sequester cuts would reduce TTPP payments in Virginia by an estimated $3.7 million. Virginia produced 53.6 million pounds of tobacco in 2012 (NASS) valued at nearly $109 million. These cuts will affect payments scheduled for January 2014! Virginia Farm Bureau has asked its producer members to send letters to the Virginia members of the House of Representatives, Senators and U.S. Secretary of Agriculture Tom Vilsack asking them to oppose TTPP payments as a sequestration cut. If you’re a producer member and interested in receiving Action Alerts, please contact Kelly Pruitt at kprui@vafb.com or 804-290-1293.